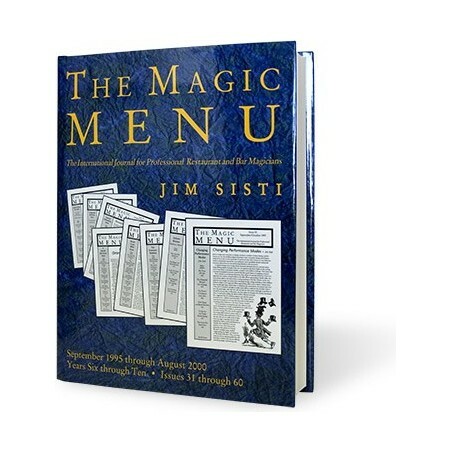 Compiled and edited by Jim Sisti. 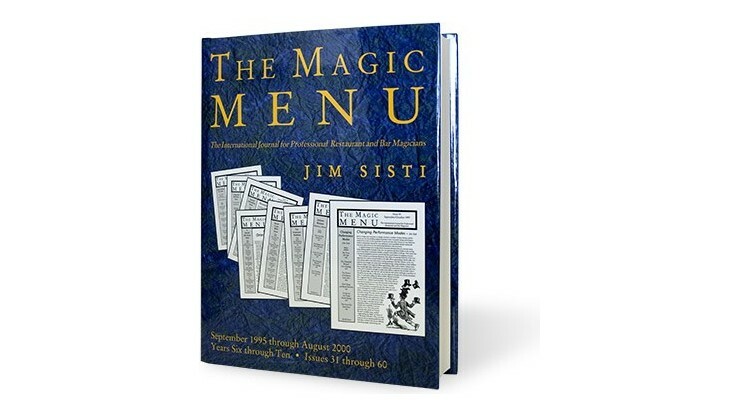 Now you can own the second five years of The Magic Menu, the world's only journal specifically for the walk-around magic specialties, in one volume. Whether you perform close-up magic in restaurants, bars, hospitality suites, corporate events, cocktail parties or other strolling venues, you'll find a wealth of advice and real-world effects from professionals who make their livings in these same venues. Throughout this huge volume, performers like Michael Close, Kirk Charles, Jay Sankey, Simon Lovell, David Acer, Gregory Wilson, David Harkey and many, many others share their experience and magical ideas and, in the process, help equip you to be a better performer. 168 articles, 89 effects, 62 contributors. Fully indexed by article, trick and contributor. Pages 734 - Hardcover with dust jacket.